This Feng Shui Set of 10- Symbol of Good Fortune lucky charm helps you use Feng Shui to create an ideal environment – both at home and in the office – that will strengthen you and attract the Feng Shui energies of health, wealth, harmony and love. 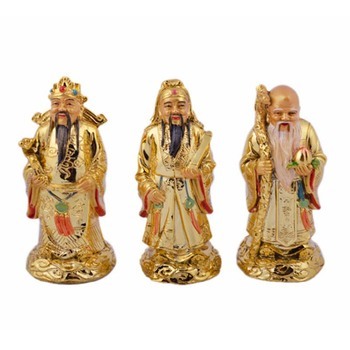 It features 10 different ancient coins of good fortune. The round shape symbolizes the dome of heaven while the square center represents the four points of the Earth. The coin, as a whole, symbolizes the harmony of heaven & earth. 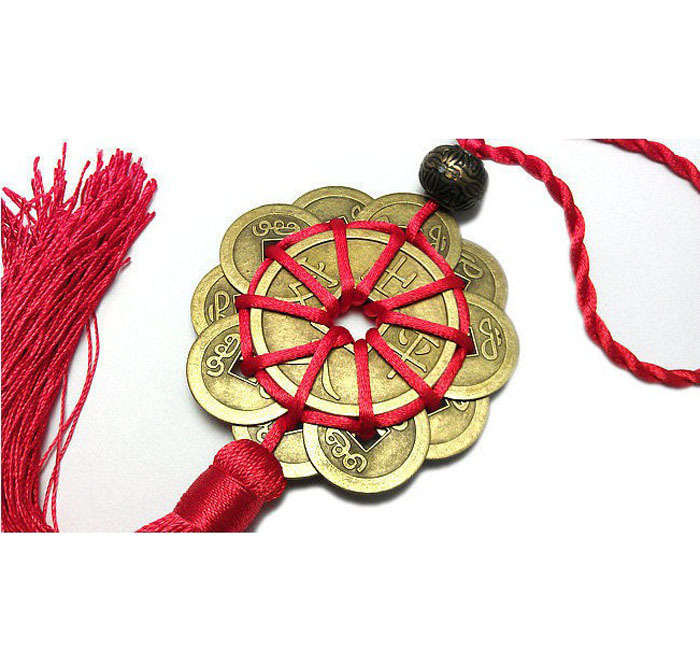 These I Ching coins represent excellent networking good fortune, when placed inside the door of home, office, or in the car, are believed to bring prosperity and protection. 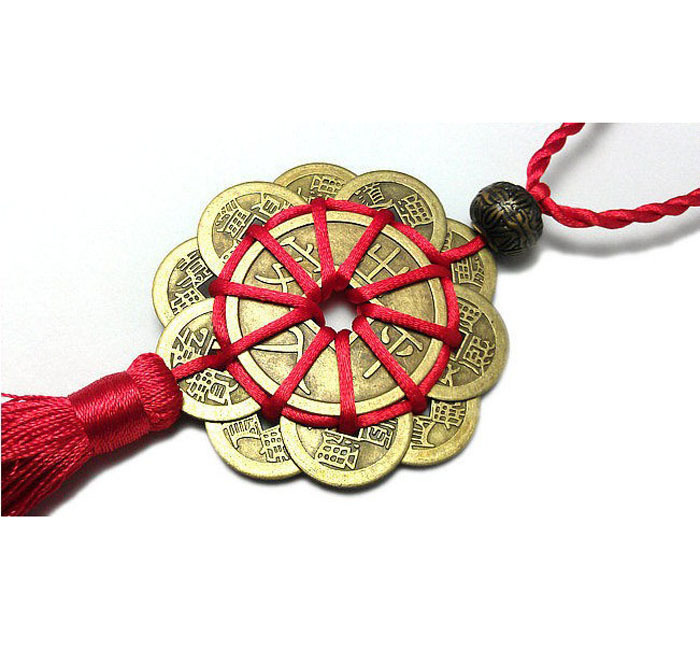 These 10 coins strung together in this order not only offer protection, but they also represent wealth, health and success. 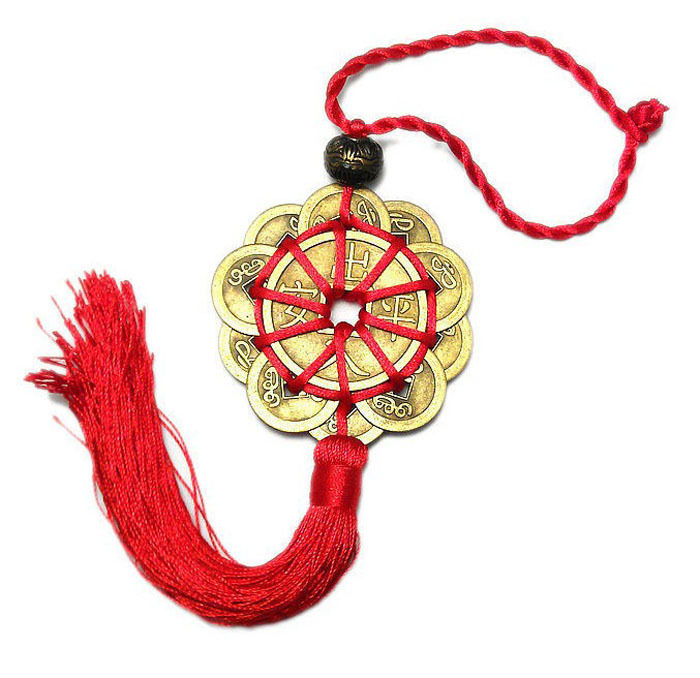 Tied to resemble a lotus flower, The ten coins are joined with the auspicious red lucky knot of never ending good fortune, also known as the mystic knot. 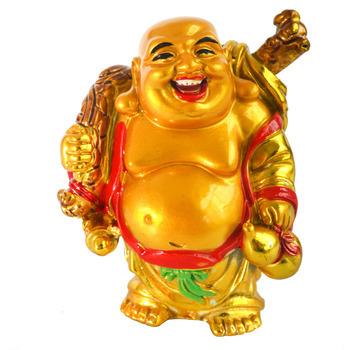 This is to symbolise a never ending source of income, love, health, and success. 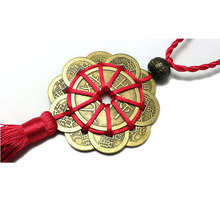 Apart from bringing good fortune, these coins can also be used as a protective amulet. 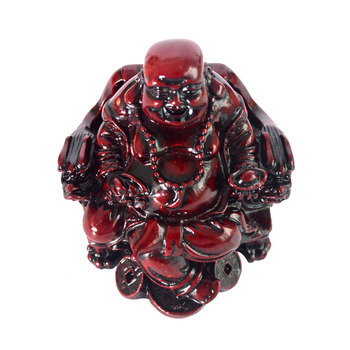 This piece denotes continued good fortune for many generations and good luck coming from all 10 directions.